This work was funded by the NASA Mars Data Analysis Program (MDAP) to make high-resolution thermal inertia data available to the public. 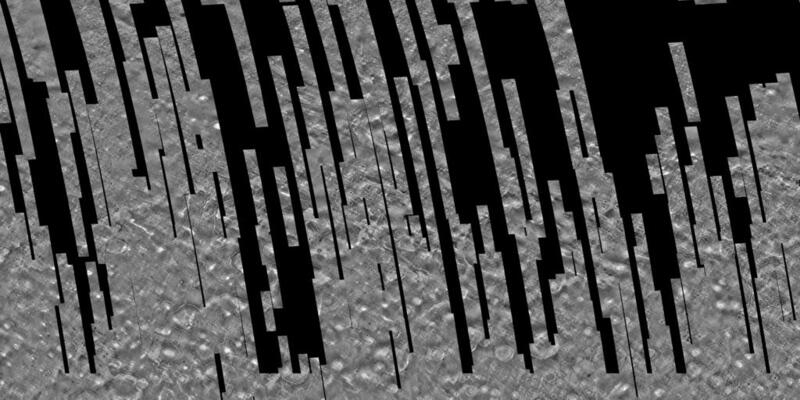 This product is a global thermal inertia mosaic of Mars generated from high-resolution Thermal Emission Imaging System (THEMIS) nighttime infrared images (Christensen et al., 2004; Fergason et al., 2006a) that allows the identification, assessment, and global correlation of martian surface materials. The higher spatial resolution of THEMIS data (100 m per pixel), relative to Thermal Emission Spectrometer (TES) globally binned data (~3 km per pixel (Mellon et al., 2000; Putzig et al., 2005; Putzig and Mellon, 2007)), enables one to more easily quantify the physical properties of morphologic features observed in high-resolution images, such as those from the High Resolution Imaging Science Experiment (HiRISE), Context Camera (CTX), and Mars Orbiter Camera (MOC), and to better understand geologic processes acting on local scales. Thermophysical variations often correspond to features identified in high-resolution images, and the integration of these data sets allows more robust scientific conclusions to be reached. When generating the thermal inertia mosaic, Thermal Emission Imaging System (THEMIS) infrared images were constrained by the latitude and longitude of the bounding coordinates of the region. We also constrained the following parameters: emission angle 0 to 30, number of lines in the image of 300 to 50, 000, and a data quality of high or better. Images were manually deleted from the mosaic if the images were of poor image quality or redundant images caused mis-registration in the averaged mosaic. Areas within the mosaic that have gaps either have no THEMIS infrared coverage at the time the mosaic was created or poor quality images were removed. To generate this mosaic, thermal inertia values are first derived from individual THEMIS nighttime infrared images using the technique described in Fergason et al. (2006), High-resolution thermal inertia derived from the Thermal Emission Imaging System (THEMIS): Thermal model and applications, J. Geophys. Res., 111(E12004), doi:10.1029/2006JE002735. The absolute accuracy of the THEMIS thermal inertia is ~20%. Uncertainties in the THEMIS derived thermal inertia values are primarily due to: 1) instrument calibration limitations; 2) uncertainties in model input parameters at the resolution of the THEMIS instrument; and 3) thermal model limitations. The mosaics themselves are generated using the THEMIS mosaicking procedure developed by Arizona State University (Edwards et al. (2011), Mosaicking of global planetary image datasets: 1. Techniques and data processing for Thermal Emission Imaging System (THEMIS) multi-spectral data, J. Geophys. Res., 116, E10009, doi:10.1029/2010JE003755), which uses DaVinci software scripts to post-process images ("uddw"), reduce image noise ("deplaid, "), and remove seams between images ("blend, " "sstretch, " and a high-pass filter). The resulting mosaics are qualitative (8-bit) products. The mosaics cover an area ±60˚ in latitude, are separated into 24 individual tiles (each are 30˚ in latitude and 60˚ in longitude and match the tiling scheme of the THEMIS daytime and nighttime IR mosaics), and are processed at a resolution of 100 m/pixel. We did not complete a mosaic for latitudes higher than 60˚because the THEMIS data are sparse and the temperatures are too low to enable accurate derivation of thermal inertia in most instances. Mosaic products are available in ISIS3, Geo-Tiff, and PNG data file formats.